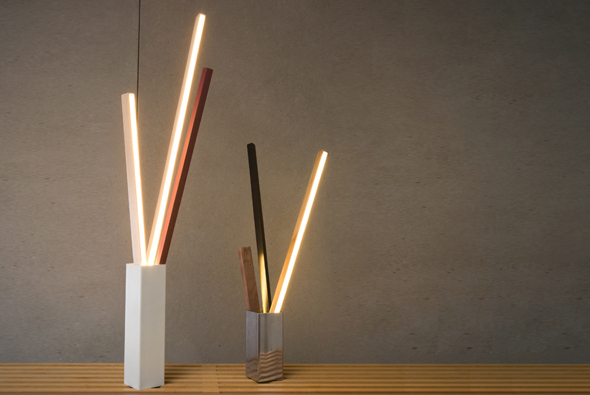 One part avant-garde sculpture, and other part functional light fixture – there’s nothing we love more than practical, modern design, and the Stickbulb by NYC-based RUX is all that and more. 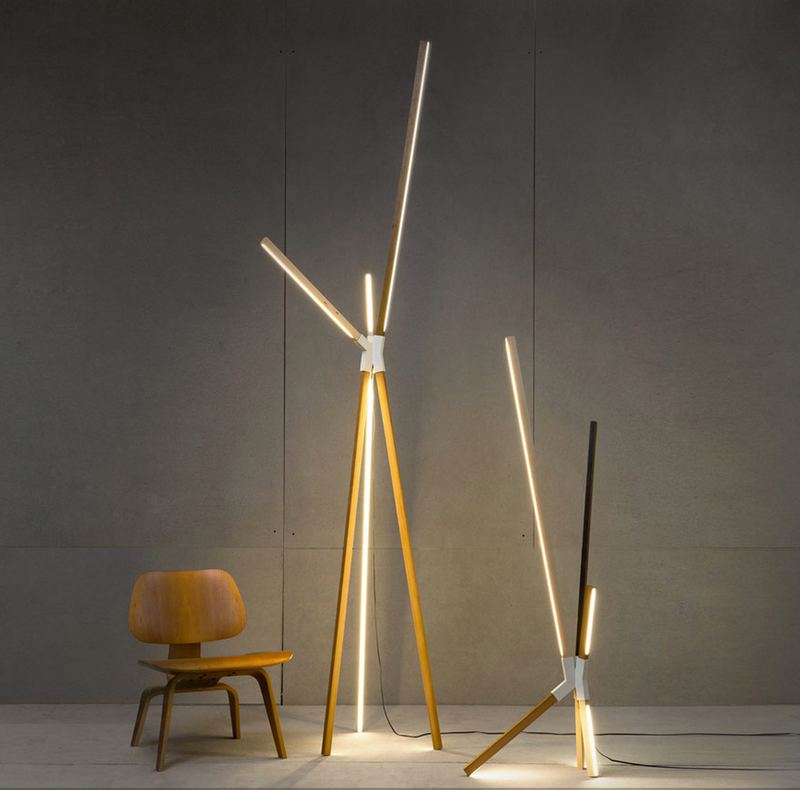 Hot off the heels of its debut at this year’s ICFF, Stickbulb will be launching a new collection of LED lighting elements, along with its first custom light installation at Luminaire Design Lab in Miami from December 5-9, 2012. With its K’Nex-like versatility and minimalist profile, Stickbulbs can be assembled with other parts or stand on its own to accomodate a wide range of spaces and styles. LED bulbs are tucked into metal or sustainably sourced wooden beams in lengths ranging from 1 to 6 feet long, and are made locally using resources found right in New York. Keep a piece of the city in your home, with Stickbulbs made from sun-bleached ipe salvaged from Coney Island’s boardwalk and reclaimed southern yellow pine from demolished buildings. The launch collection includes a range of tabletop and floor designs ranging from $285-$2850 retail, and is now available for purchase at www.stickbulb.com.